The Illinois State University College of Arts and Sciences introduced new faculty members and presented awards and scholarships during the Fall Dean’s Address Thursday, September 13, in the Old Main Room. Interim Dean Diane Zosky paid tribute to her predecessor, Dean Emeritus Greg Simpson and articulated her view of the university’s purpose. Daniel Liechty from the Department of Social Work and Alison Bailey from Women’s and Gender Studies were announced as this year’s College of Arts and Sciences Distinguished Lecturers. 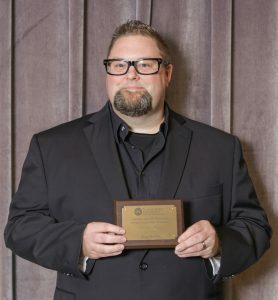 Scott Sakaluk won the Janice Witherspoon Neuleib Award for Outstanding Scholarly Achievement for this year. 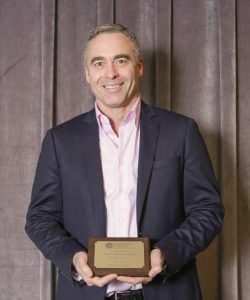 Sakaluk has received awards in the past, including the Outstanding College Researcher Award in 2000, the Outstanding University Researcher Award in 2002, and induction into Illinois State University’s Million Dollar Club in 2009. “Scott’s productivity in calendar year 2017 was equivalent to a successful decade for many in his field,” said Associate Dean Joe Blaney. In 2017, Sakulak published eight refereed articles in prominent journals, with three more awaiting publication. 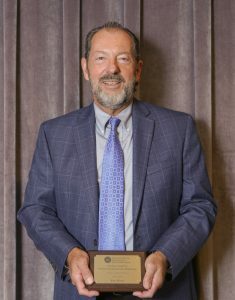 He also obtained two research grants: $650,000 from the National Science Foundation, and $434,000 from the National Institutes of Health, as well as serving as supporting investigator for a $350,000 Major Research Instrumentation grant. Daniel Lannin of the Department of Psychology won the award for Outstanding Scholarly Achievement by a Pre-Tenured Faculty Member for his ambitious calendar year 2017. Lannin published five refereed journal articles with nine in press and presented four conference papers. He was also co-investigator for two external grant submissions. The John A. Dossey Award for outstanding teaching was presented to Richard Sullivan of the Department of Sociology and Anthropology. Sullivan teaches undergraduate sociology and general education courses, as well as political sociology and theory courses on the graduate level. He has won a University Teaching Initiative Award and the Shaw Teaching Fellowship in years past. 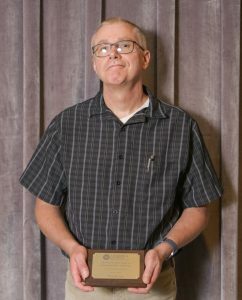 From the School of Communication, Vidette General Manager John Plevka won the award for Outstanding Administrative Professional. Plevka’s background includes serving as managing editor of four Illinois newspapers. He teaches COM 165, an introductory newswriting course. 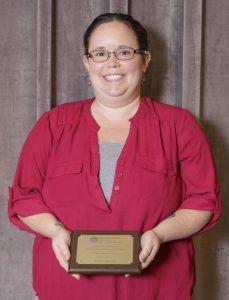 Leandra Parris of the Department of Psychology won the award for Outstanding Teaching by a Pre-Tenured Faculty Member. 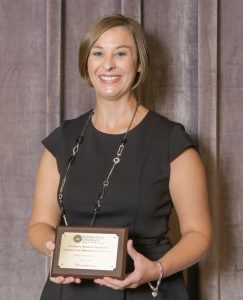 At ISU, Parris has created a new graduate course on school climate/organization and crisis intervention, taught graduate level practicum classes in the school psychology program, and taught graduate level classes in social and emotional behavioral assessment as well as intervention and substance abuse counseling. The award for Outstanding Teaching by an Administrative Professional was presented to School of Communication Director of Advisement Elizabeth Chupp. On top of her primary duties, Chupp teaches the general education course COM 110 as well as introductory and capstone courses for Communication Studies majors. “She strives to make her students more competent, critical, and ethical communicators while emphasizing the importance of civic responsibility,” said Associate Dean Sally Parry. 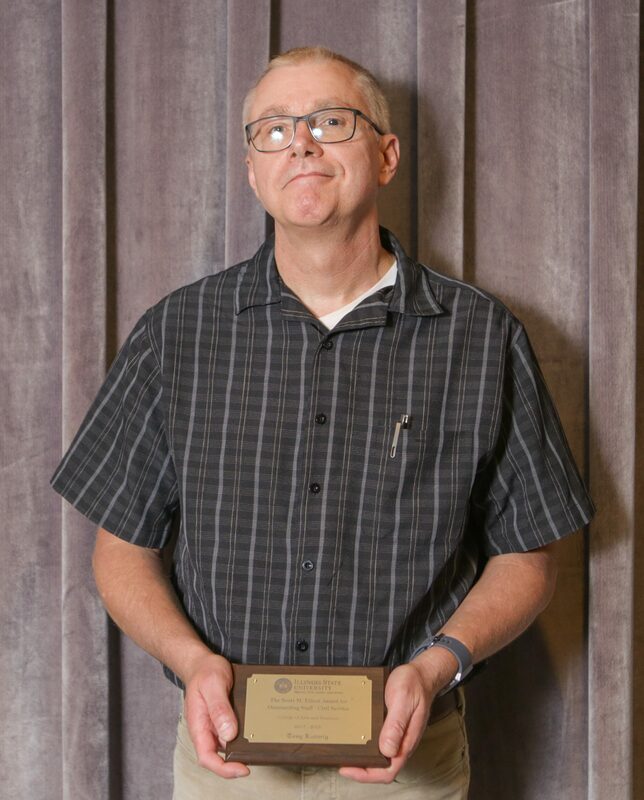 The Scott M. Elliott Award for Outstanding Civil Service Staff was presented to Department of Chemistry instrument technician Tony Ludwig. He has been providing services to students and faculty since 2015 and volunteers for various events, including the Metcalf Field Day Trip in which his station allows kids to taste ice cream made with nitrogen. 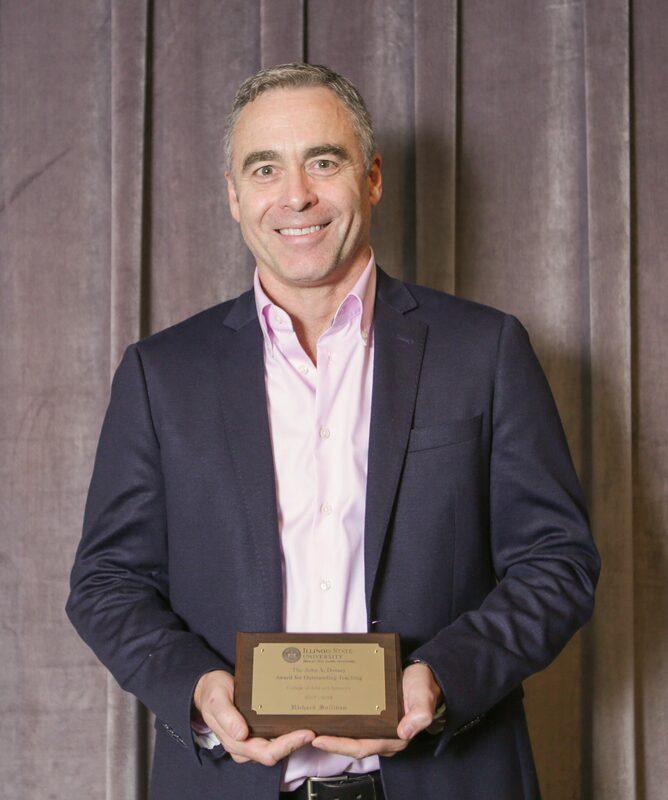 “Tony is an outstanding professional, mentor, and colleague whose attitude and willingness to help others exemplifies his commitment to the University,” said Associate Dean Marla Reese-Weber.